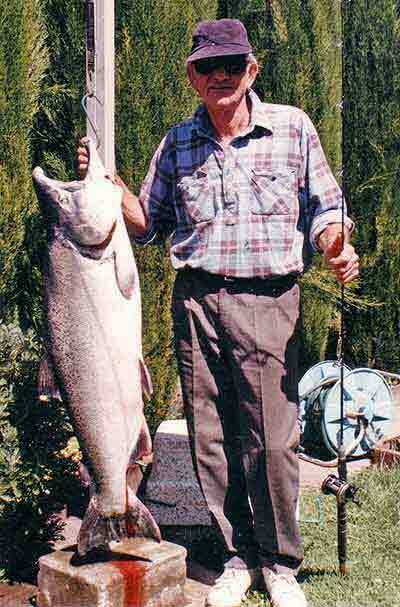 Norm Thackwell with what would be one of the heaviest salmon ever landed in New Zealand. It weighed 42 pounds (37.8 pounds gilled and gutted) or 19.1kg. Landed on an ABU 6500 baitcaster reel. Norm Thackwell with what would be one of the heaviest salmon ever landed in New Zealand. Norm’s salmon was actually caught in the Waimakariri River and not in the Waitaki River as previously reported by us. It weighed 42 pounds (37.8 pounds gilled and gutted). Note the Abu 6500 reel. This model has been the biggest selling salmon reel in New Zealand for over 20 years! Very few salmon anglers in New Zealand have caught a salmon weighing in excess of 30 pounds. Most of the salmon caught in New Zealand would weigh around the 20-pound mark. The best salmon runs seem to be over a period of about three years reaching a peak followed by a steady decline in fish size and numbers. Many anglers believe that if you catch a big salmon, of say 34 pounds, at the beginning of your fishing career every fish you catch after that one will be an anticlimax! One of the great attractions of salmon angling is the thought that a really big salmon might be waiting for your next fishing trip. 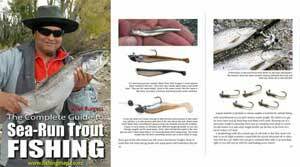 Anglers who have caught large salmon often report that the “take” is more of a slow steady pull akin to having hit a snag on the bottom which then starts to move. 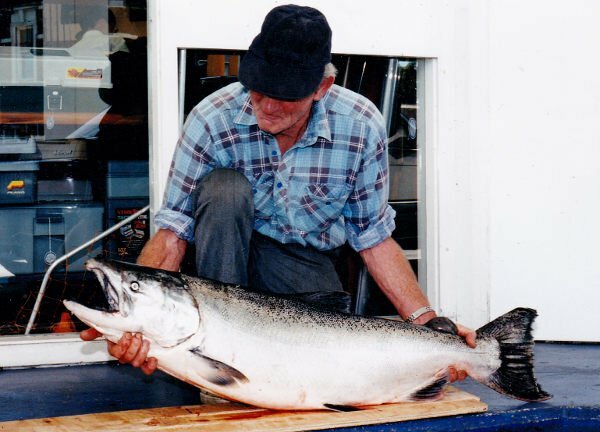 For more photographs of really big salmon caught by anglers in New Zealand see: 70 Years of Salmon Fishing Memories – Old Photographs of Big Salmon by Clive Morriss. Norm Thackwell and his 42-pounder!